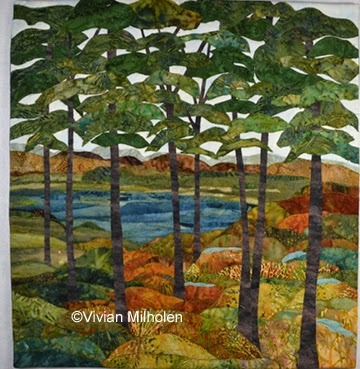 My new website: www.vivianmilholenart.com is now up and ready for you to visit! I am still trying to figure out how to edit my old blog posts. I may move all to Word Press or ? Many things have happened with my art since I was actively posting on this blog. I haven't updated my blog in a long time. I have been so busy that it fell to the wayside. But having an art studio has made me realize I need to keep it going. I won't bore you with all the other things I have been doing, (like showing you millions of pictures of our daughter's beautiful wedding), but I will add pictures that tell the story. I now have a studio at the Workhouse Arts Center in Lorton, Virginia. 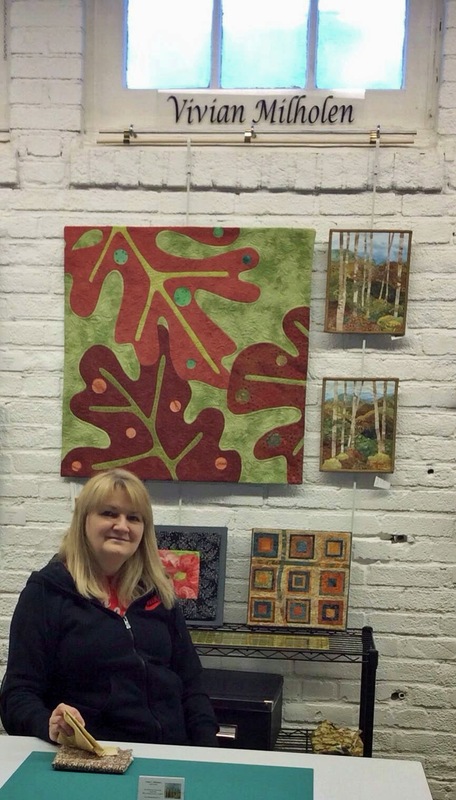 I am a member of the Studio Fiber Artists! The good news is that I have so many new pieces to post on my blog. Working on that now! Check back tomorrow for new work!